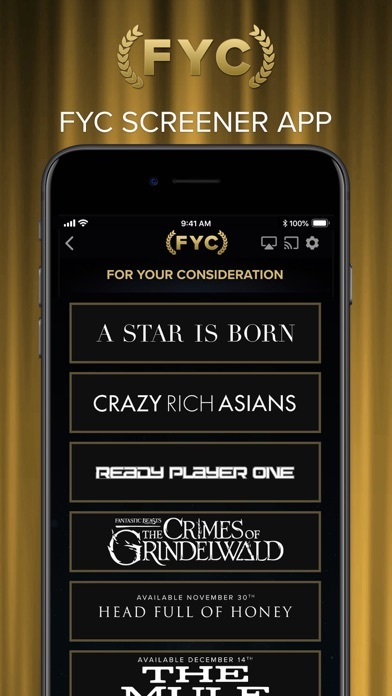 The FYC Screeners App allows authorized Guild members or WarnerMedia users to view, download, or stream Warner Media 'For Your Consideration' screeners. 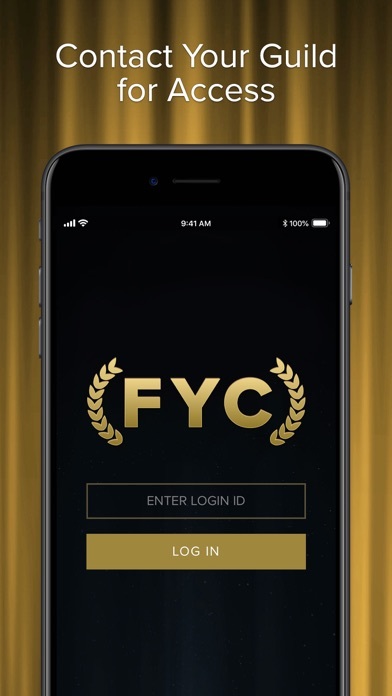 Valid Warner Media/Guild credentials are required to access content in the FYC Screeners App. Technology has finally reached award screeners— gone are the stacks of past FYC physical DVD’s gathering dust and entering landfills! While it would be nice if the app implemented across more streaming players like Roku / Chromecast/etc— it still was a great way to access films anywhere, anytime from the comfort of any couch. The 24 hour FYC support was also top notch! 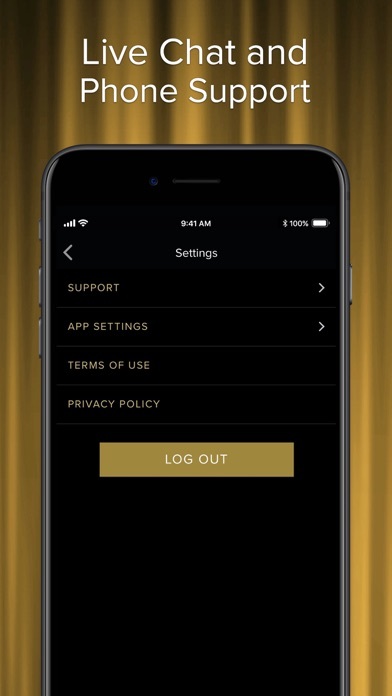 Can’t wait to see how the app evolves for the next Awards season. No air play to a big screen. Totally pointless app. No picture in picture view. Being a member of CAS not being capable of playing a movie on big screen and Dolby sound system , renders this screener system USELESS! Straight to iPhone. Is that a thing? The bad reviews are all referring to the lack of Chromecast compatibility. Yes this is annoying but in no way does merit one star. This interface is superb and exceptionally easy to navigate. App developers, please extend mirroring capability to other devices. Other studios, copy this app! I love the idea of viewing screeners via an app, but like others said, we should be able to cast them to our TVs. I have an Apple TV, so I was able to download the app there and watch, but that restriction shouldn’t be in place. But please continue this idea WB, and improve upon it next year! Hopefully this won't replace traditional screeners! Apparently WB is okay with guild members watching their movies on tablets or laptops. I know "Mule" isn't exactly "2001" but I'd still like the opportunity to watch it on a bigger screen (without lugging around an HDMI cable). If not, I just won't bother watching it, let alone voting for it. I'm deleting this app until WB makes it Chromecast able. App works great. No Casting though. I wish all the studios did this. The app works great but I wish you could use cast it to a Chromecast. Not everyone has an Apple TV. By far the best way to view screeners. Other studios, please copy this app!